From small business to large business digital transformation is everywhere. Rethinking the role of IT in enterprise level can turn out to be a disastrous scenario when done in an improper manner. So smart enterprises are looking for a proper way out to manage their IT with managed it support services. They are seeking for expertise level assistance where the organization can ideally focus on the core objective of the organisation while the out-house IT take care of their IT department. An in-house IT can only cope with the internal IT changes while the outsource managed IT service can take care of the changing IT scenario along with remote IT support. Outsourced managed IT support service offers an extra pair of hand at your rescue. Binary IT is an extension version of your business assisting your business in the strategical planning and day to day IT management. Transferring your business to cloud requires a careful examination and step. During transition one needs to take care of the risk and security. We provide a unique combination of cloud based service and on premises infrastructure requirement. As there is a significant increase on Cybercrime, we take additional carefulness on maintaining IT security. We make sure to protect your business application and network from unwanted threats. We make sure to remove complexities in terms of security. We take an overall look of your existing inventory, take a thorough look of your existing system. We will report to you about the hardware changes your organization need to make and guide in inventory sector for immediate hardware and software backups. We will regularly check your hardware condition and repair necessary hardware’s. We will upgrade your hardware, processor, RAM and GPU to meet with the high performing scale of business. We have partnered with leading vendors like Veeam and Storage craft for cloud back up and disaster recovery service. Veeam and Storage Cloud is handy in nature for its save you from facing huge loss of data which would be impossible to retrieve. We believe in releasing right tools and support to your organization; therefore, we make sure to administrate your system and manage it well. We are available at your service 24/7. We offer you technical support, profile management, managed IT security with customer representative support 365 days. Binary IT is a Sydney based IT organization ready and willing to rescue every level of enterprise struggling to cope with the changing technological requirement. Through its managed service, we make sure to bring clarity to the IT sector of Australia. Contact us to receive best IT MANAGED SERVICE, SYDNEY AUSTRALIA. You will immensely benefit from the improved application by acquiring stability, availability, performance, and quality. You will go beyond the primary knowledge of information technology, as well as above the secondary knowledge. There will not only be an improvement over the capability but also in the maturity of the information technology. You will also be acquainted with the preventive measures by the team of Binary IT. 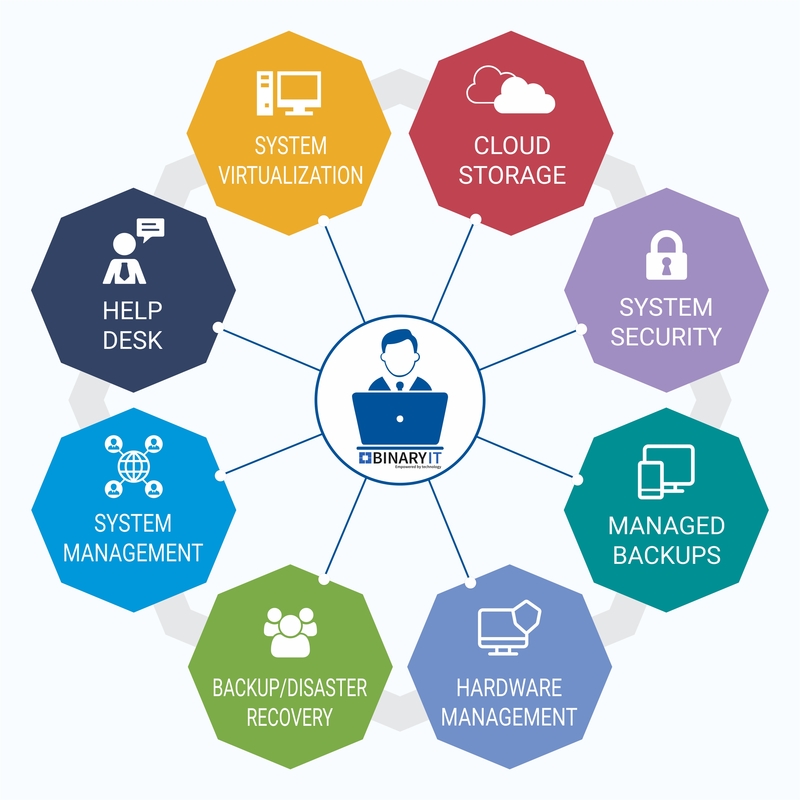 Managed IT services of Binary IT also includes a discounted price, but this discounted price is all inclusive of high-level uncompromising IT service.